Hailed by the New York Times as “outstanding clarinetist”, Pascal Archer leads an active career as a chamber musician, orchestral player and teacher. He is the founder of the Exponential Ensemble since 2011. 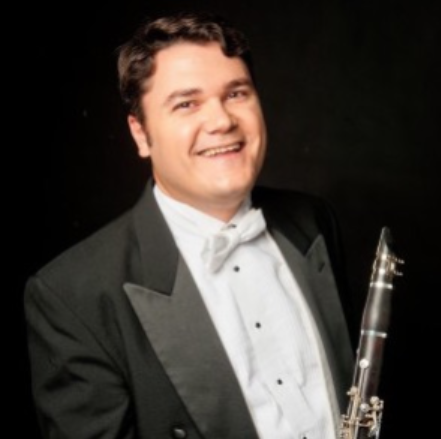 He is principal clarinet of the Glimmerglass Opera Orchestra, the Northeastern Pennsylvania Philharmonic and acting principal clarinet of the Princeton Symphony. He is also a former member of the New World Symphony where he performed for four seasons under the baton of Michael Tilson Thomas. In recent years he has collaborated with the JACK and St. Lawrence string quartets, Adaskin String Trio and toured with Musicians from Marlboro. He has performed at renowned festivals such as Marlboro, Mostly Mozart, Monadnock, UBS Verbier Orchestra, Spoleto USA and the Sun Valley Summer Symphony where he performed under the baton of James Levine, Charles Dutoit and David Robertson. Mr. Archer is on faculty at the Manhattan School of Music Precollege Division, the Hunter College (CUNY), Fordham University and the New York Summer Music Festival. Originally from Québec, Canada, Mr. Archer holds a degrees from the Conservatoire de Musique de Montréal, Université de Montréal (BM), Indiana University and a Masters in orchestral performance from the Manhattan School of Music.